Home › Uncategorized › Nova Issues a "Marathon Challenge"
Nova Issues a "Marathon Challenge"
Months before the event, Nova put together a marathon team representing a cross-segment of society. There are 13 members of the team, some in decent condition, but the vast majority, if not overweight, are “over-fat.” These “over-fat” people, while they weigh an average amount, have far too high a percentage of body fat. This is, the show tells us, a more and more common occurrence in our society and something that our marathoners hope they are able to rectify. 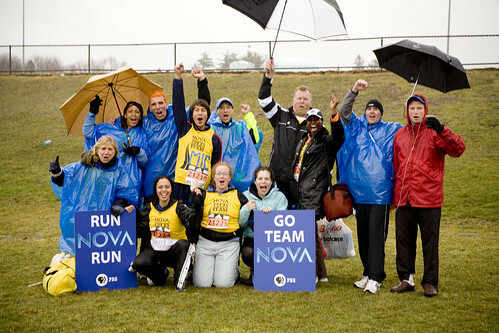 Nova – “Marathon Challenge” airs Tuesday October 30 at 8pm. Please don't take my word for it though, check your local listings instead.